残りあとわずか!! 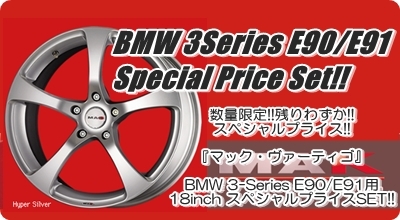 BMW 3Series(E90/E91) 18inch Special Price Set!! TOYOTIRES TOYO DRB 225/40R18 Set!! YOKOHAMA DNA Earth-1 225/40R18 Set!! MICHELIN Preceda PP2 225/40R18 Set!! DUNLOP LE-MANS LM703 225/40R18 Set! !